Complex problems do not have straightforward answers. But politicians need to come up with simple answers in order to explain things, especially if they happen to be lawyers. 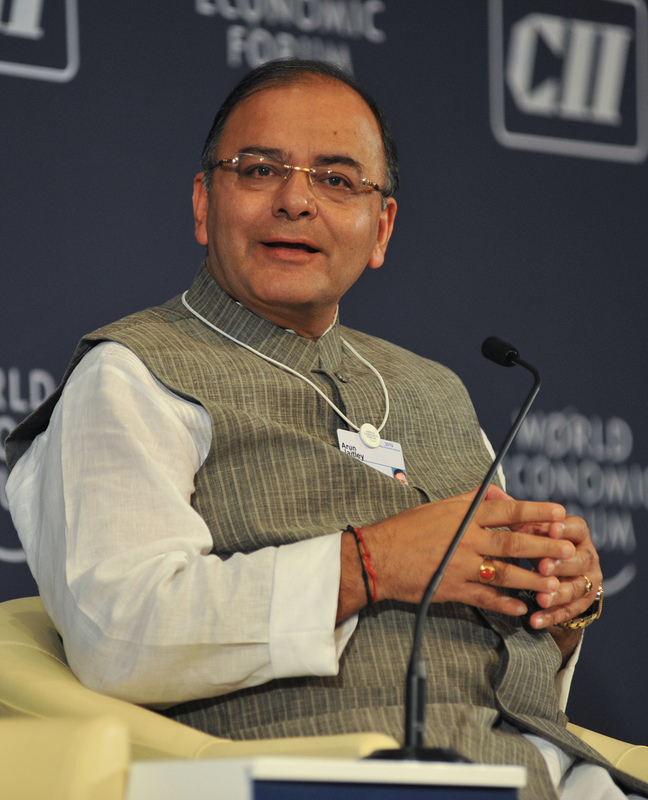 In order to tackle the high food inflation finance minister Arun Jaitley has asked states to “crack down on hoarders”. The food inflation for the month of May 2014 was at 9.5%(as measured by the wholesale price index and 9.4% (as measured by the consumer price index). Over the last ten years food inflation has averaged at 8.1% and has even gone above 10% in recent times. Jaitley’s response to tackle food inflation was similar to what P Chidambaram had said in December 2013. “There is also a need to deal wisely with harvesting and marketing and deal strictly with hoarding and profiteering,” the former finance minister had said. So is India’s food inflation problem only because of hoarding? As mentioned at the beginning, complex problems do not have simple answers. And India’s food inflation is a really complex problem. One of the biggest hoarders of food is the government of India. The Food Corporation of India (FCI) indicates its grain stock at the beginning of every month. As on June 1, 2014, the food grain stock stood at 74.8 million tonnes. This primarily included rice and wheat. This stock is much more than what is required by the government to run its various subsidy programmes and also to maintain an emergency stock and strategic reserve requirements. In fact, the Commission for Agricultural Costs and Prices(CACP), a part of the ministry of agriculture, estimated in May 2013, that anywhere between 41-47 million tonnes, would be a comfortable level of buffer stocks. In fact, the level of the stocks with FCI has gone up dramatically since May 2004, when the Congress led United Progressive Alliance (UPA) first came to power. At the beginning of June 2004, the stock of food grain had stood at 32.3 million tonnes. It has more than doubled since then. With more and more food grains landing up in the godowns of the government it is not surprising that price of food grains has risen over the last few years. The price of rice has risen by 12.75% over the last one year. The rise in the price of wheat has been rather subdued at 3.64%. But around the same time last year, the price of rice had risen 12.37% over a one year period. In order to control grain prices, in the short run the government needs to sell some of its hoard in the open market. And that is exactly what it plans to do. It plans to sell 50 lakh tonnes of rice in the open market at a price of Rs 8.3 per kg. More importantly the government needs to stop hoarding rice and wheat, and not buy more than what it requires. Other than the price of rice, the price of milk, fruits and egg, fish and meat has also risen at rapid rates of 9.57%, 19.4% and 12.47%, respectively. As far as hoarding is concerned India does not have the supply chain infrastructure required to hoard these food products. In this case, the inflation is clearly a case of the demand outstripping supply. In a recent report titled What a Waste Crisil Insight points out that “inflation in egg, fish and meat has consistently [been] at 10-15% since 2009. The story is similar for milk and milk products where inflation peaked above 15% in 2012.” Hence, inflation in these products is not a recent phenomenon and more than that it has nothing to do with hoarding. Crisil Insight points out that “loose fiscal policy, rising demand for high-value food items and substantial increase in wages — especially rural wages, as a spillover [of] the rural employment guarantee scheme – have translated into higher demand for proteins. This has raised the prices of items such as milk and milk products, egg, fish and meat as supply falls short of demand. The production of milk and eggs has risen only 3-4% a year, compounded annually, during 2009-10 to 2012-13, while inflation in this category has risen 14-15%.” Hence, the only way to control inflation in this area is to encourage more production of milk, eggs, fish and meat, and that of course, needs a lot of effort and cannot happen overnight. So that leaves us with vegetables. Vegetable prices on the whole have fallen by 0.97% over the last one year. But this aggregate hides the fact that potato prices have risen by 31.44% in the last one year. In this case, the hoarding argument can apply given that hoarding potato is far more easier than hoarding other vegetables or fruits or meat for that matter. Interestingly, onion prices haven’t gone up in the last one year. They have fallen by 2.83% during the period. At the same time last year, onion prices had gone up by 94.28% over a period of one year. In order to stop anything along similar lines from happening again, the government has imposed a minimum export price of $300 per tonne for onions. In fact, the ministry of commerce has been asked to come up with a similar measure for potatoes as well. Hopefully, all these measures should have some impact on the burgeoning food prices. To conclude, it is important to understand that food inflation is not just because of traders hoarding food products. Prices of different food products have risen due to different reasons over the last ten years. And these reasons need to be specifically addressed, if food prices are to be controlled. On November 12, the rupee touched 63.70 to a dollar. 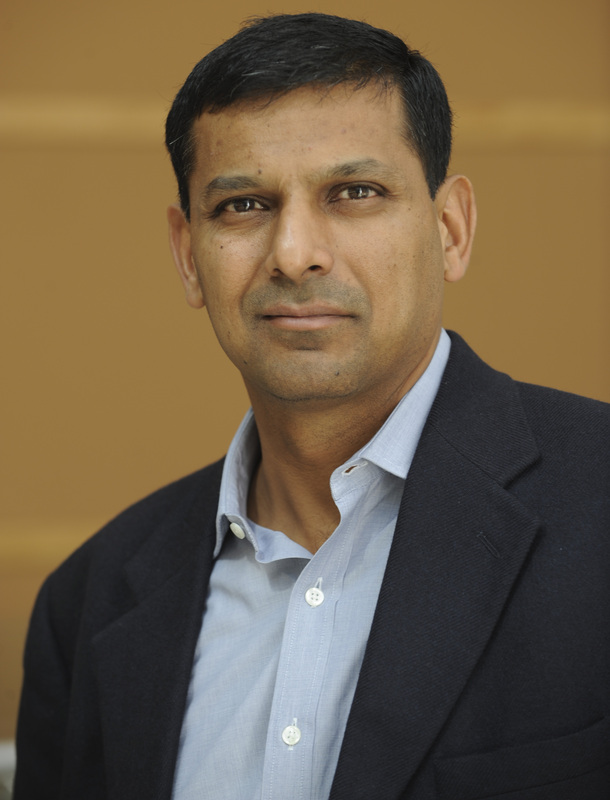 On November 13, Raghuram Rajan, the governor of the Reserve Bank of India (RBI) decided to address a press conference. “There has been some turmoil in currency markets in the last few days, but I have no doubt that volatility may come down,” Rajan told newspersons. Rajan was essentially trying to talk up the market and was successful at it. As I write this, the rupee is quoting at at 63.2 to a dollar. The stock market also reacted positively with the BSE Sensex going up to 20,568.99 points during the course of trading today (i.e. November 14, 2013), up by 374.6 points from yesterday’s close. But the party did not last long. The wholesale price inflation (WPI) for October 2013 came in at 7%, the highest in this financial year. In September 2013 it was at 6.46%. In August 2013, the WPI was at 6.1%, but has been revised to 7%. The September inflation number is also expected to be revised to a higher number. The stock market promptly fell from the day’s high. A major reason for the high WPI number is the massive rise in food prices. Overall food prices rose by 18.19% in October 2013, in comparison to the same period last year. Vegetable prices rose by 78.38%, whereas onion prices rose by 278.21%. If Rajan has to control inflation, food inflation needs to be reined in. The trouble is that there is very little that the RBI can do in order to control food inflation. Hence, the production of vegetables as well as fruits is geographically concentrated. What this means is that if there is any disruption in supply, there is not much that can be done to stop prices from goring up. Given the fact that the production is geographically concentrated, hoarding is also easier. Hence, it is possible for traders of one area to get together, create a cartel and hoard, which is what is happening with onions. (As I argue here). There is nothing that the RBI can do about this. What has also not helped is the fact that the demand for vegetables has grown faster than supply. As Mishra and Shankar write “Supply did respond, as onion and tomato outputs grew the most. But demand rose faster, with prices supported by rising costs.” Hence, even if food inflation moderates, there is very little chance of it falling sharply, feel the analysts. This is something that Sonal Varma of Nomura Securities agrees with. As she writes in a note dated November 12, 2013 “On inflation, vegetable prices have not corrected as yet and the price spike that started with onions has now spread to other vegetables. Hence, CPI (consumer price inflation) will likely remain in double-digits over the next two months as well.” The consumer price inflation for the month of October was declared a couple of days back and it was at 10.09%. Half of the expenditure of an average household in India is on food. In case of the poor it is 60% (NSSO 2011). The rise in food prices over the last few years, and the high consumer price inflation, has firmly led people to believe that prices will continue to rise in the days to come. 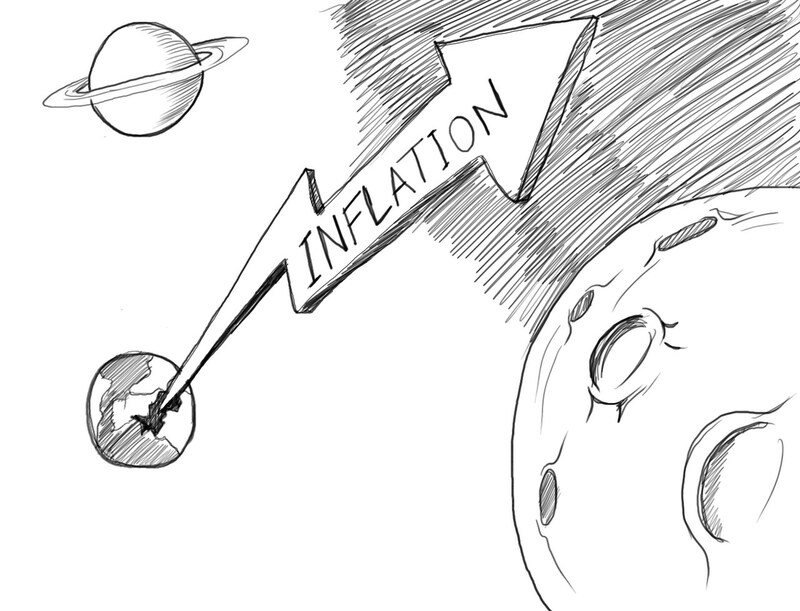 Or as economists put it the inflationary expectations have become firmly anchored. And this is not good for the overall economy. What she is saying in simple English is that there not much the RBI can do to control food inflation. It can keep raising interest rates but that is unlikely to have much impact on food and vegetable prices. Varma of Nomura, as well as Mishra and Shankar of Credit Suisse expect food inflation to moderate in the months to come. But even with that inflation will continue to remain high. What this means is that increasing fuel prices will lead to higher inflation. Also, as margins of companies come under threat, due to high inflation, they are likely to increases prices, and thus create further inflation. All this impacts economic growth primarily because in a high inflationary scenario, people have been cutting down on expenditure on non essential items like consumer durables, cars etc, in order to ensure that they have enough money in their pockets to pay for food and other essentials. And people not spending money is bad for economic growth. If India has to get back to high economic growth, inflation needs to be reined in. As Rajan wrote in the 2008 Report of the Committee on Financial Sector Reforms “The RBI can best serve the cause of growth by focusing on controlling inflation.” The trouble is that there is not much that the RBI can do about it right now. Or so the government of India has been trying to tell us over the last few weeks. But some spoilers have come in lately. The wholesale price inflation (WPI) for the month of September 2013 has come in at an eight month high of 6.46%. It was at 6.1% in August and 5.85% in July. A massive increase in food prices has been a major driver of wholesale price inflation. Onion prices rose by a massive 323% in September in comparison to the same period last year. Vegetable prices went up by 89.37%. Fruits were up at 13.54%. And all in all food prices were up by 18.4% in comparison to the same period last year. Half of the expenditure of an average household in India is on food. In case of the poor it is 60% (NSSO 2011). Given this, the massive rise in food prices, hits what the Congress led UPA calls the aam aadmi, the most. In this scenario it is more than likely that the aam aadmi has been cutting down on expenditure on non essential items like consumer durables, in order to ensure that he has enough money in his pocket to pay for food. Hence, it is not surprising the index for industrial production, a measure of the industrial activity in the country, rose by just 0.6% in August 2013, after rising by 2.8% in July. As Sonal Varma of Nomura writes in a research note dated October 11, 2013 “consumer durables output growth remained in the negative, possibly due to a sharper slowdown in white goods production.” Consumer durables output fell by 7.6% in August 2013. This after falling by 8.9% in July. What this tells us clearly is that as people are spending more money on food, they are postponing other expenditure. This postponement of consumption is reflected in companies not increasing the production of goods, which in turn is reflected in the overall index of industrial production rising at a very slow pace and the consumer durables output falling by a whopping 7.6% in August 2013. The government of India wants to tackle this by increasing the capital of public sector banks in the hope that they give out loans to people to buy consumer durables and two wheelers at lower interest rates. (Why that is a bad idea is explained here). Over and above that there is high food inflation to contend with. One reason that the inflation will continue to remain high is the fact that the government of India has been running a high fiscal deficit. In the first five months of the year (i.e. the period between April-August 2013) the fiscal deficit stood at 8.7% of the GDP. The government is targeting a fiscal deficit of 4.8% of the GDP during the course of the financial year. Fiscal deficit is the difference between what a government earns and what it spends. With the government running a higher fiscal deficit it needs to borrow more money to finance the deficit. This means that the private sector will have lesser money to borrow(i.e. it will be crowded out by the government) and hence, will have to offer higher interest rates to borrow money. Hence, the interest rates will continue to remain high. Also, a higher fiscal deficit means increased government spending in some areas of the economy. This leads to more money chasing the same amount of goods and services and hence, higher prices i.e. inflation. When interest rates as well as inflation remain high, people are likely to concentrate on consuming things that they need the most, like food and avoiding other expenditure. This will have an impact on economic growth. Hence, the only way to revive economic growth is to weed out inflation. And that’s easier said than done. This recent confidence of the government has come from the fact that the rupee which had almost touched 70 to a dollar, is now quoting at around 61.2 to a dollar. This has happened because the government has taken steps to squeeze out gold import totally. In the month of September the gold imports fell to around $0.8 billion. In August, the gold imports were at $0.65 million. Gold is bought and sold internationally in dollars. Hence, any gold importer needs dollars to buy gold. To buy these dollars the importer needs to sell rupees. And this pushes the value of the rupee down against the dollar. But with the government making it very difficult to buy gold, the importers are not buying dollars and selling rupees. And this has helped the rupee to recover partially, given that the demand for dollars in the official foreign exchange market has gone down. This does not reflect in the official numbers and there are other social consequences of smuggling. It is worth remembering that Dawood Ibrahim started out primarily as a gold smuggler, until he moved onto other bigger things. The other factor that has helped control the value of the rupee against the dollar is the fact that oil companies are buying dollars directly from the Reserve Bank of India and not from the market. Hence, the two major buyers of dollars in the foreign exchange market have been taken out of the equation totally. This has skewed the equation in favour of the rupee. Of course this cannot continue forever. Some demand for gold is likely to return in the months of October and November, because of the marriage season as well as Diwali. The other decision that has helped the rupee is the fact that the Federal Reserve of United States has decided to continue printing money. While it is widely expected that the Federal Reserve will continue to print money in the months to come, this is something that is not under the control of the Indian government. Also, it is worth remembering that given the high fiscal deficit, the threat of India being downgraded to “junk” status by an international rating agency remains very high. If this were to happen, many investors will exit India in a hurry, putting pressure on the rupee, and undoing all the work that has been done to get it back to a level of 61 against the dollar. In short, the macroeconomic conditions of India continue to remain weak, despite the government trying to project otherwise.